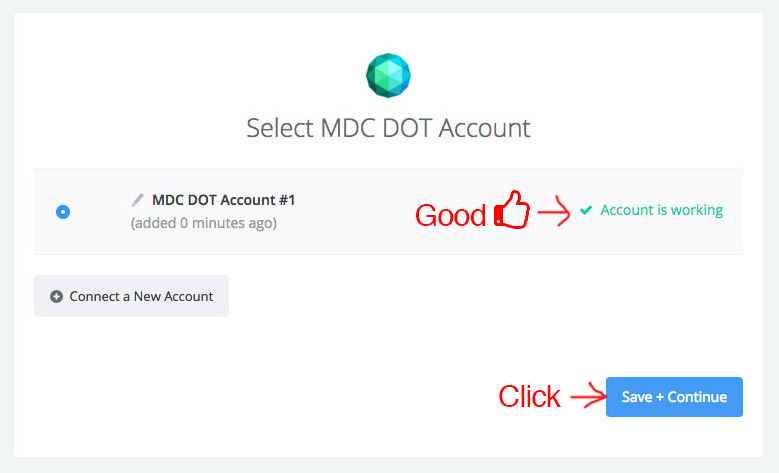 Do you have a webform that you want to connect to your MDC DOT account? 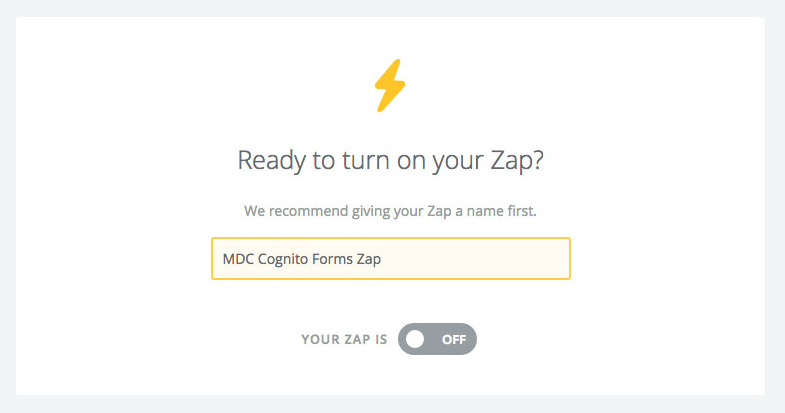 If you want your webform submission leads to go into your MDC DOT account – you can do this with Zapier. 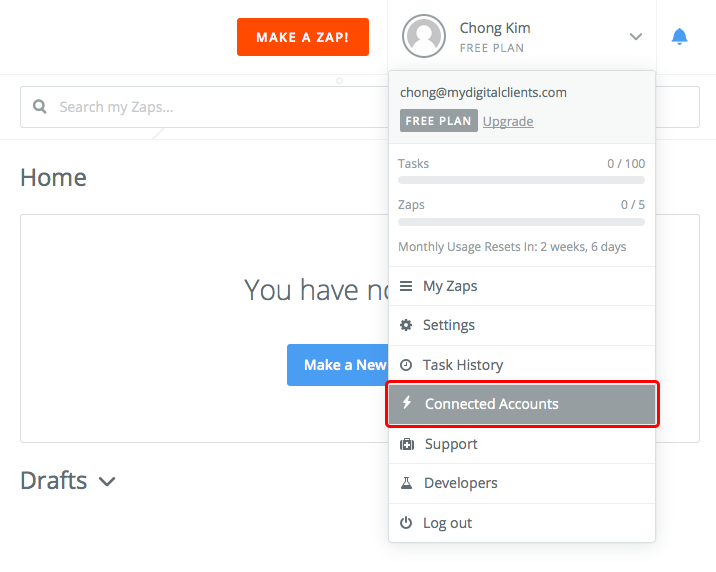 Create a free Zapier account here. 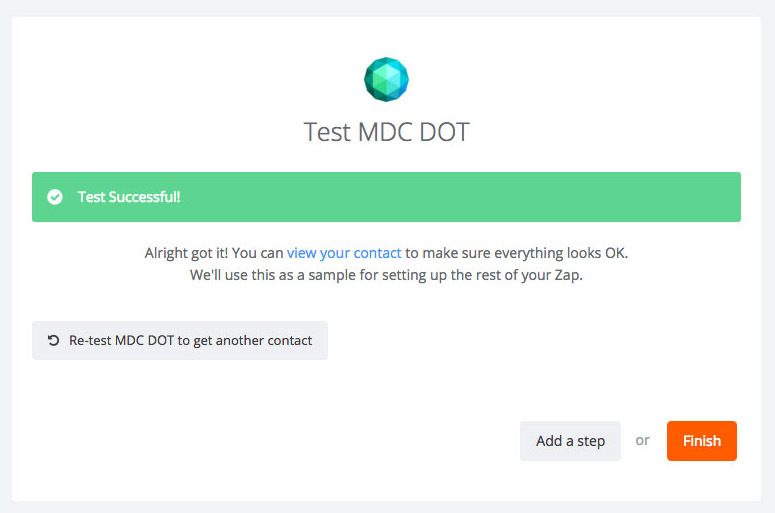 If you are wondering if your form is able to connect with MDC DOT using Zapier, check out their list of 500+ apps here. 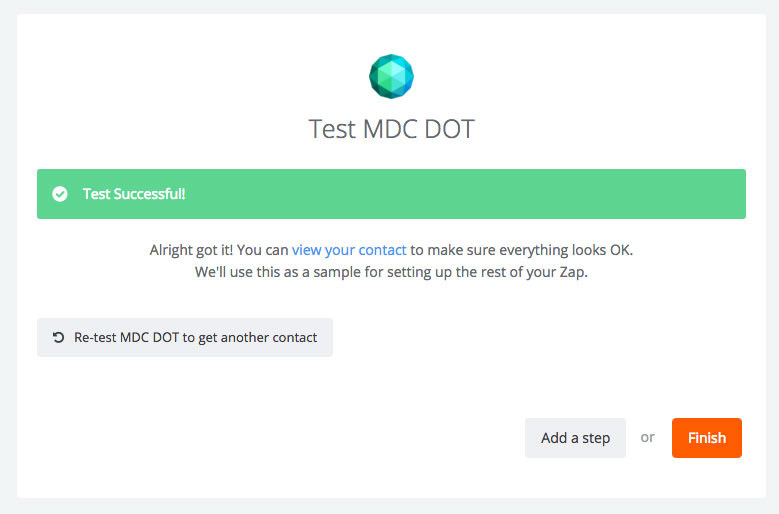 After you create a Zapier account, you will need to click here to accept an invitation to connect to our MDC DOT Zapier app. 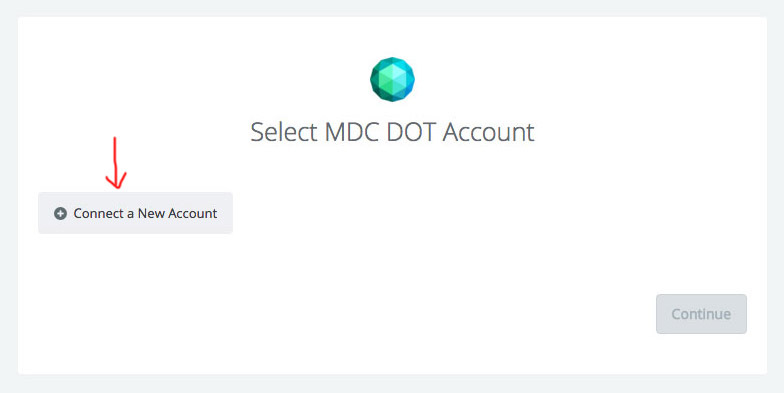 To get your API Key, in your MDC DOT account, go to My Profile, then click the Integrations tab. If you have never done this and you don’t have an API key, click “Generate API Key.” If you already have an API Key, see next screenshot. 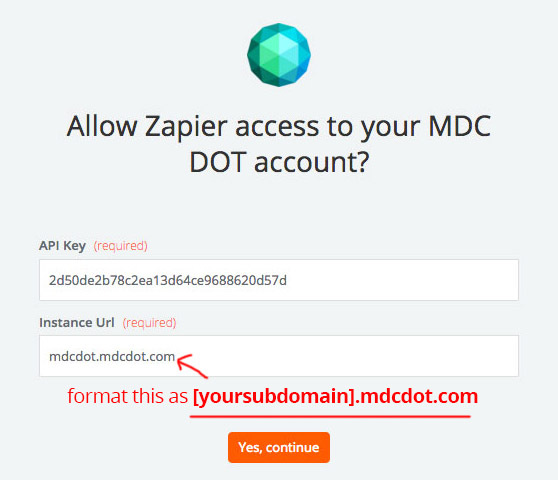 If you have an API Key, highlight and copy this key to paste in the “API Key” field to allow Zapier access to your MDC DOT account. 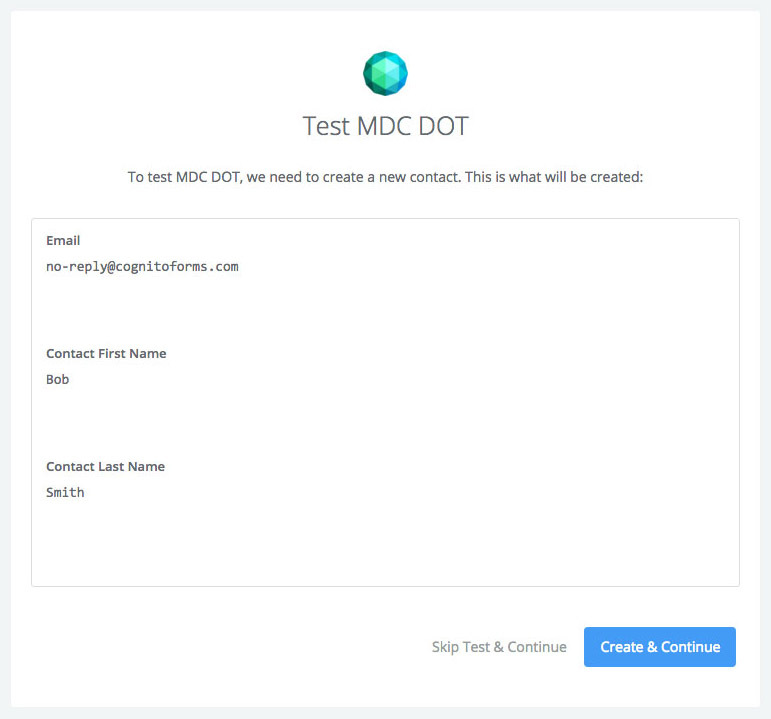 You will now be able to go through the step-by-step process to connect your webform to MDC DOT. 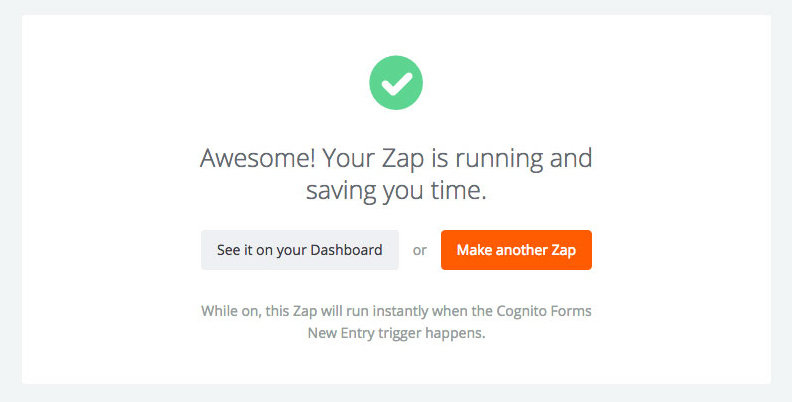 Choose a Trigger app – this would be the application that your webform uses/is made from. 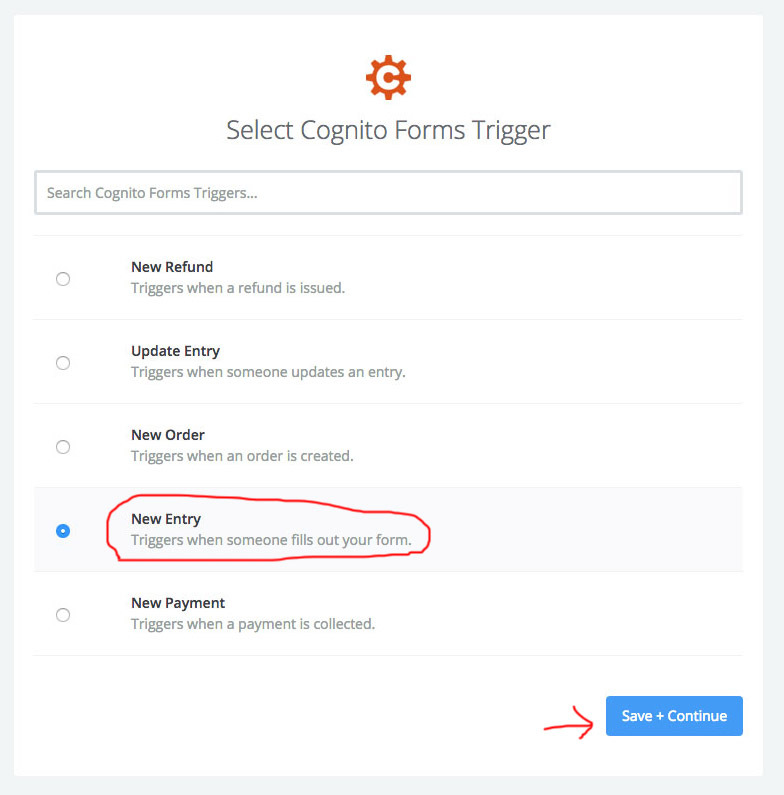 Choose a Trigger – choose “New Entry” (Triggers when someone fills out your form). Click “Connect a New Account” – a new window will pop-up for you to log in if you are not logged into you “trigger app”. 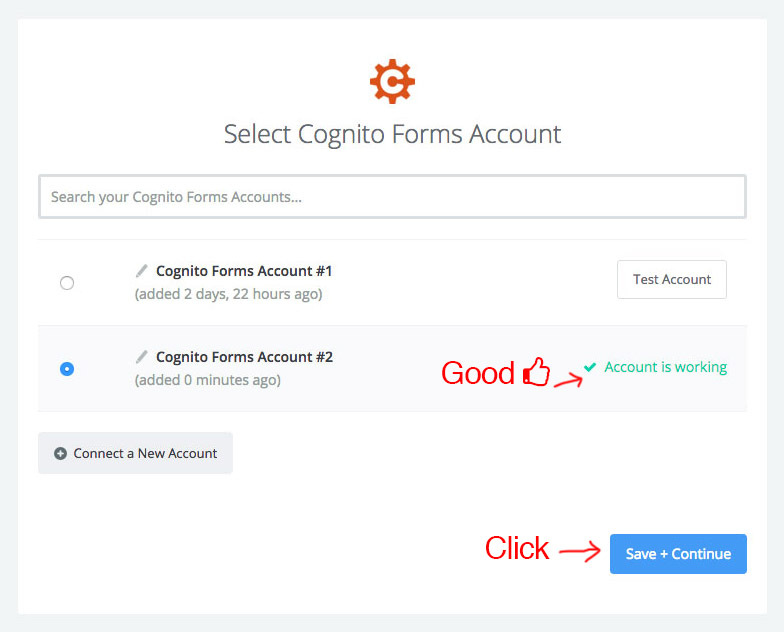 In this example, we are using a “Cognito Forms” account. If you are logged in, it should show up. 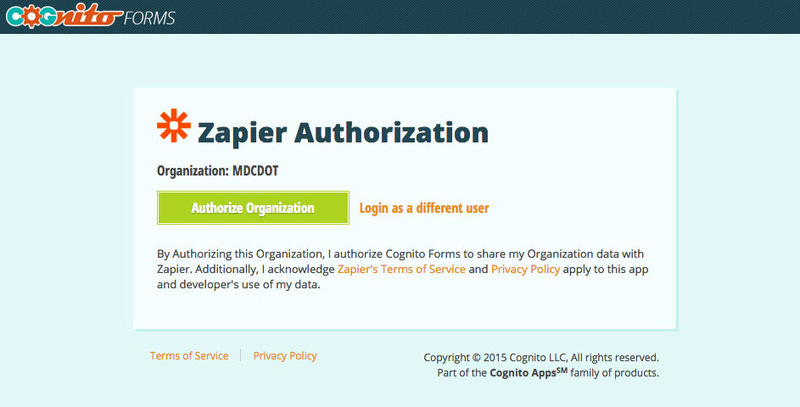 After you are logged in, you might need to authorize. Click the “Authorize” button. 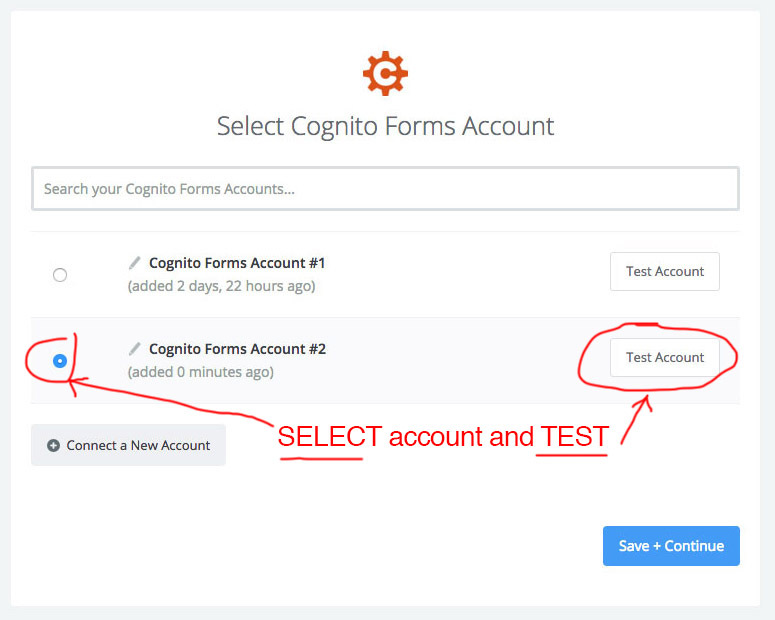 Select your account once it shows up, then click “Test Account” next to the selected account to make sure it is connected properly. 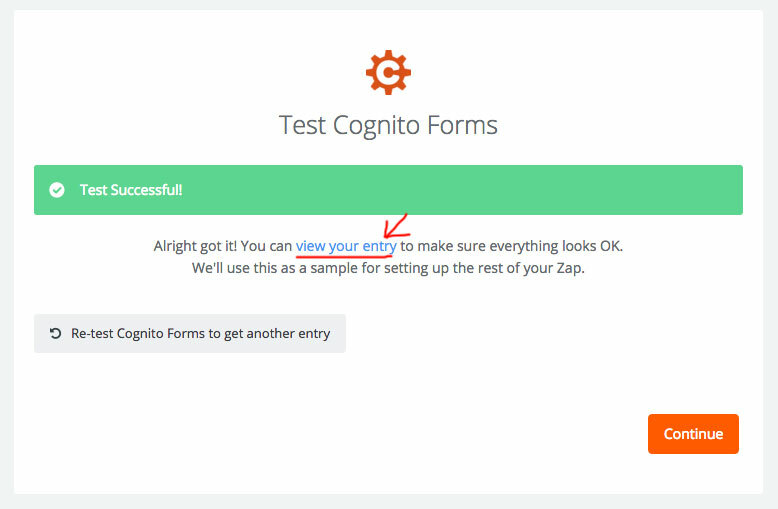 Click “view your entry” for a sample test. This will show what your sample fields will be (first name, last name, email). 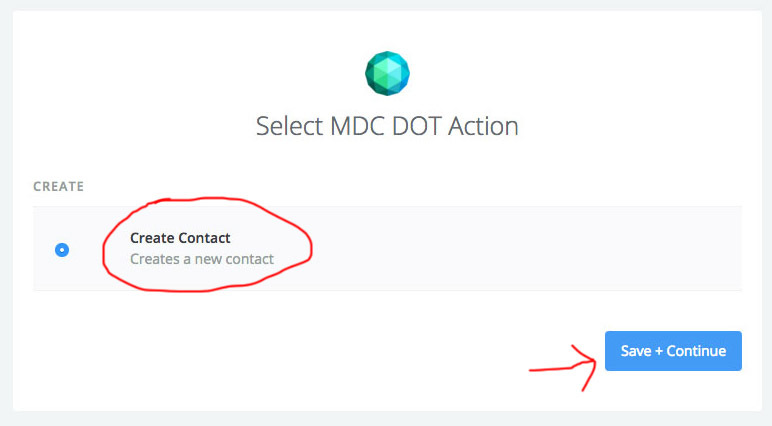 You will be able to change what fields you want to capture after you set up your “action” app (MDC DOT) in STEP 2. Click “Continue” to move to the next step. Choose an Action app – this would be where you want your entry to go to. In the search bar, type “MDC DOT”. Note: You must receive our invitation to view our app here. 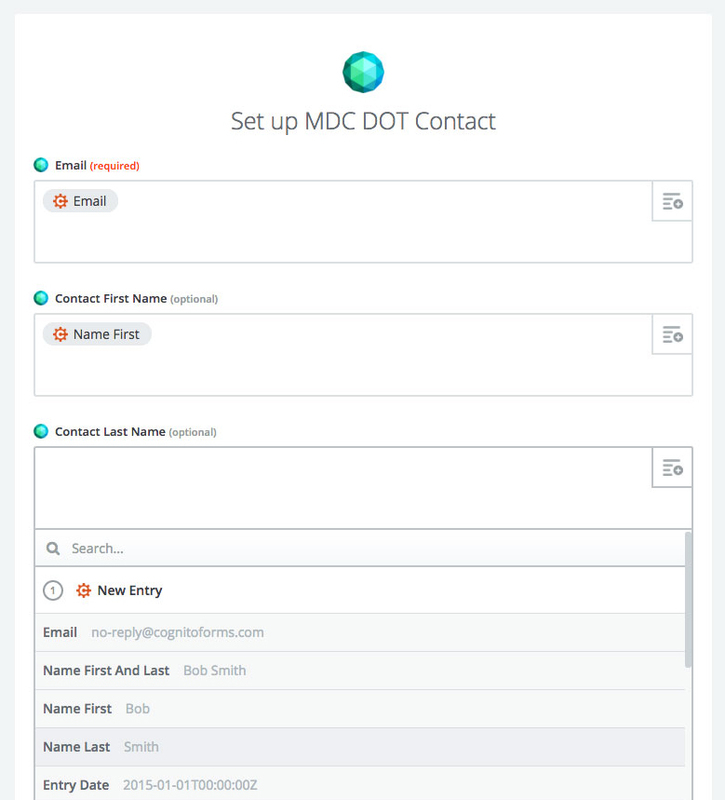 If you do not contact us to be invited to connect to our Zapier app, you will not be able to see our MDC DOT app here. 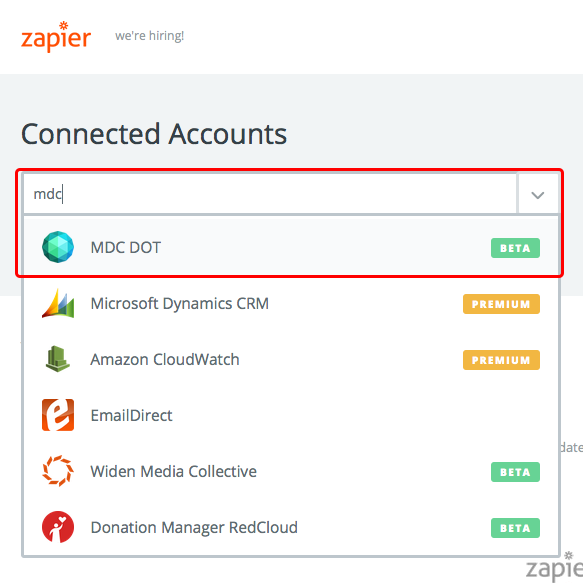 Before you click on “Connect a New Account” – in a NEW TAB (PC: “Ctrl+T”; Mac: “command+T”) in your MDC DOT account, go to “Integrations” “Open” the “Zapier API Key” section, and click the green “Generate API Key” button. 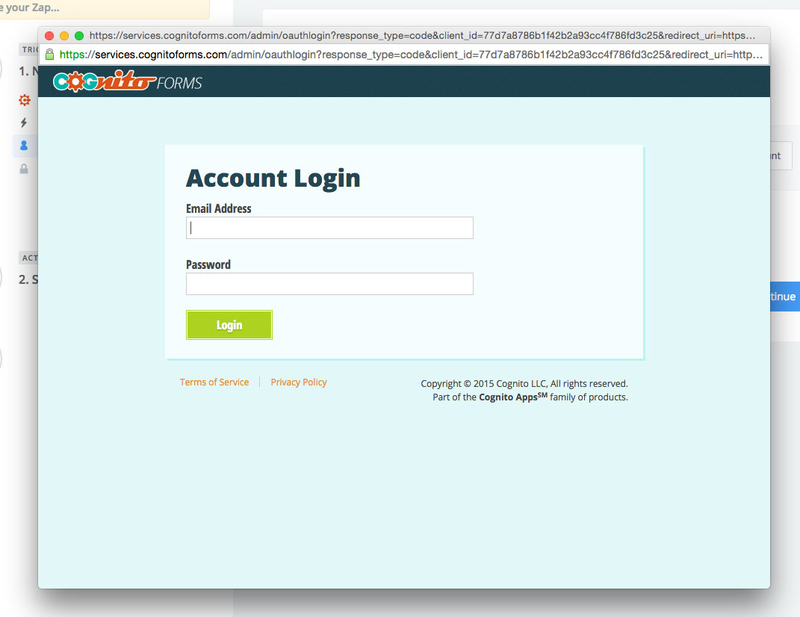 In the pop-up, paste your “API Key,” and type or paste your Instance URL (login URL) without “http://” or “www”. For example, if your subdomain is “healthyliving” – put “healthyliving.mdcdot.com” as your Instance URL. Then click, the “Yes, continue” button. Once your account shows up, click “Test Account” to make sure it is connected properly. Once you see that your “Account is working,” click the “Save + Continue” button. Now, to set up your form. 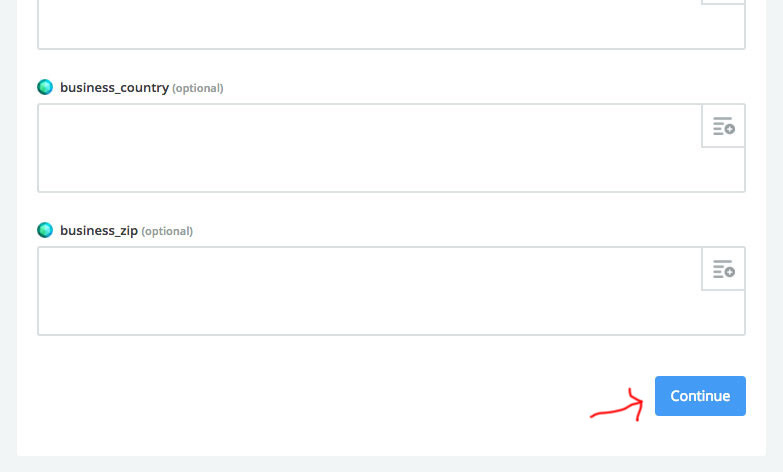 Here you will select and choose which fields from your webform will be imported with your webform submissions. 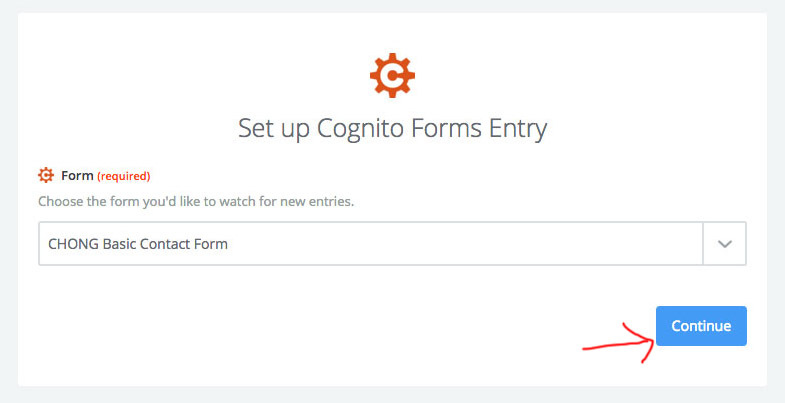 After you select all the form fields (we would suggest to at least have First Name, Last Name, and Email), click the “Continue” button at the bottom of the page. Note the test submissions. 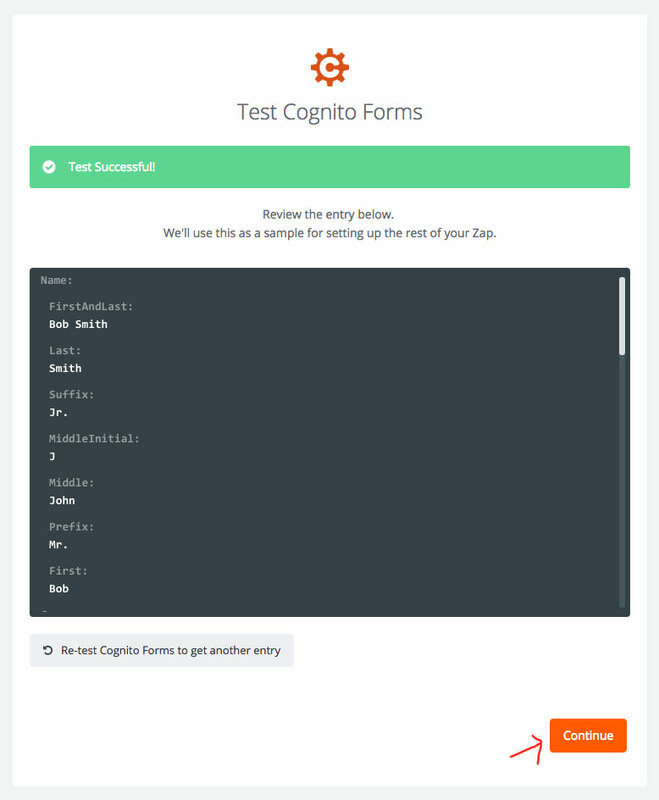 You can see that the email here is set to be “[email protected],” the first name is “Bob,” and the last name is “Smith.” Test the webform submission by clicking the “Create & Continue” button. Now, click “Finish” to complete the setup. Name your Zap then toggle your Zap “On” (click the “off” toggle to turn it on). That’s it – you’re done! 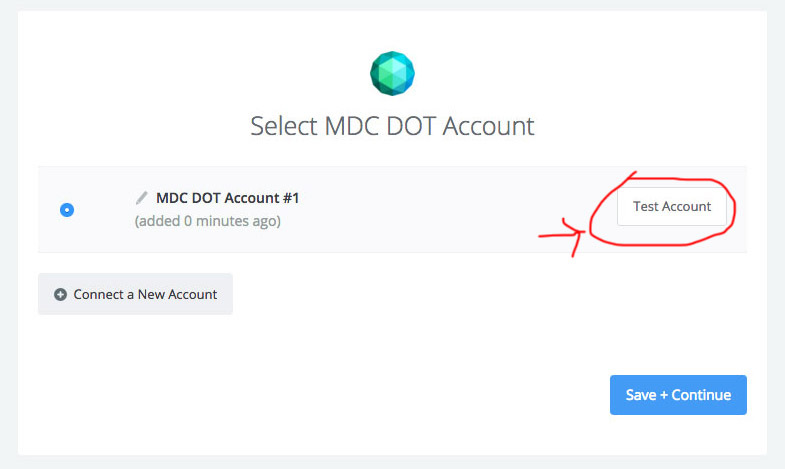 Now, you can use your actual form and see that it will create a new lead in your MDC DOT account. Be sure to test your webform to make sure it creates a lead in your account. Still have questions? Send us a support ticket or give us a call during our support hours. Our support hours are Monday – Friday 8:30 AM – 4:30 PM Central Time.